The extension came with a condition that he has to deposit to Rs 300 crore with Security and Exchange Board of India (SEBI). "But you remember you have to deposit balance Rs 300 crore. Either you pay or go back to jail,"
The bench had reminded Sibal about the May 11 order when he was given time of two months to enable him deposit Rs 200 crore with SEBI. The bench had rejected sibal’s plea for “time till the year end for depositing Rs 300 crore” telling him "we have already given you a long rope". Taking note that 68-year-old Roy today deposited Rs 300.68 crore, the CJI extended his parole and gave him the opportunity to raise the remaining amount to secure bail in the case. 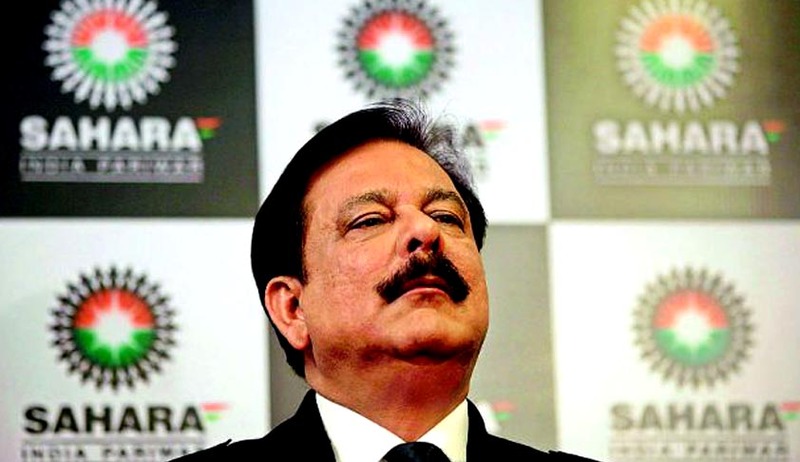 The bench has also allowed the Sahara group to go ahead with sale and alienation of their properties to raise an amount of Rs 5,000 crore as a bank guarantee which they have to deposit in addition to Rs 5,000 crore to get bail for Roy. During the hearing, the bench made it clear that failure to deposit Rs 300 crore by the next date of hearing would lead to Roy going back to the jail. The hearing also saw SEBI telling the bench that till now Rs 195.07 crore has been generated by it by selling Sahara properties through e-auction. However Sibal complained that the properties sold through the platform of e-auction has fetched less money than desired and sought a direction to SEBI to take some of the properties out of e-auction. “Today, Hon’ble Supreme Court further extended the interim release of all three officials, in the condition that by next date of hearing, we will be able to deposit Rs.300 crore. In that Hon’ble Supreme court also permitted us to sell any movable property also subject to the condition all the sell precede is going to be deposited in Sebi Sahara refund account. Apart from that Hon’ble Supreme Court has also found that sale of properties which Sebi is otherwise trying to do will be subject to Sahara finding better price and informing Sebi, in the event Sahara is able to find better buyer then that sale will not be proceeded by Sebi”.